1. Click the start button, type the windows features text into the “Search programs and files” box. Select the Turn Windows features on or off from the result. 2. Windows Features dialog box will appear. Check the folder name Internet Explorer 8 or 9 as you see from this list to enable Internet Explorer in Windows 7. 1. 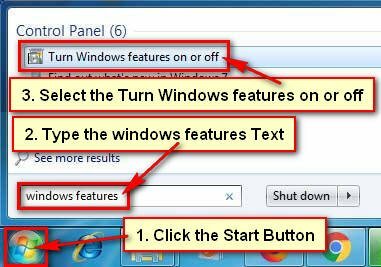 Click the Windows 7 start button and choose the Control Panel from the menu list. 2. Control Panel dialog box will open. Click the in front of View by the down-arrow icon and choose the Category option. Click up to the Programs link with CD icon. 3. From the Programs and Features section select the Turn Windows features on or off. 4. Windows Features window will open. Wait a few seconds until you see the complete list. 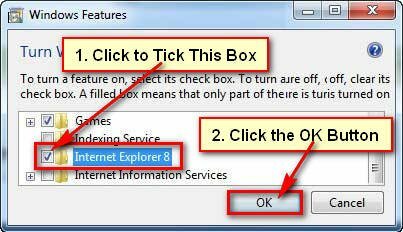 Click to check the Internet Explorer 8 checkbox to tick it and click the OK button to show internet explorer in Windows 7. 5. 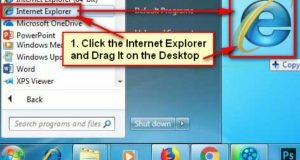 You need to restart your computer to get back Internet Explorer on your computer or laptop. Click the Restart Now button to restart your computer. 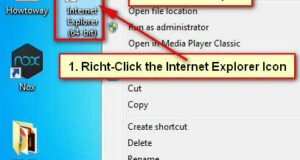 After restarting your computer, you will find Internet Explorer on your computer. I hope now you can easily enable Internet Explorer on your laptop and desktop computer. If you have any problem with it and you want to share your experience then don’t hesitate to leave a comment.